Are you the kind of person who puts their holiday decorations up before Thanksgiving? We've got the perfect holiday suite just for you in Charleston, South Carolina. 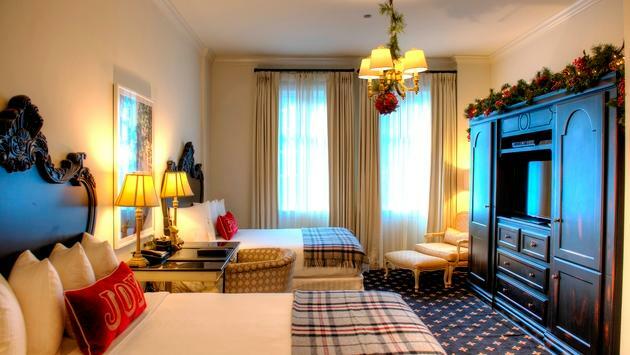 The boutique property, French Quarter Inn is offering a suite decked out in holiday décor from now until January 3. Called the Southern Sleigh Bell Suite, it’s decorated in everything from a life-size Christmas tree to garland, mistletoe, nutcrackers, stockings on a fireplace and pillows with decorative snowflakes. 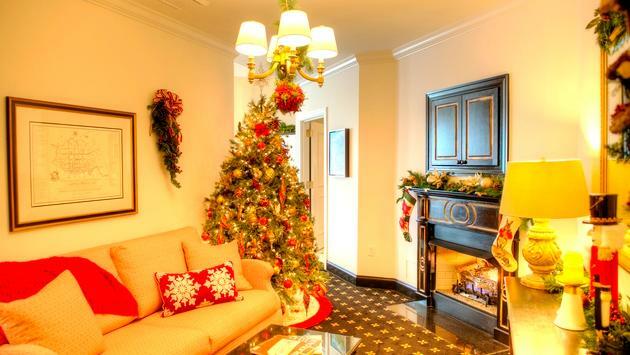 Every evening, guests of the suite will have freshly-baked cookies and glasses of milk delivered to their room to enjoy next to the cozy fireplace amid the festive décor. The French Quarter Inn will also be providing bourbon-spiced eggnog, apple cider and hot chocolate in the lobby. For those who book the suite on Christmas Eve and Christmas, they’ll be able to enjoy a public reading from Santa of ‘Twas the Night Before Christmas and popular Christmas songs sung by carolers in the lobby. The French Quarter Inn will also be showing classic holiday films like Elf and It's a Wonderful Life on Christmas Eve in the hotel's new meeting space on an 86-inch television. Bookings for this suite can be made by calling the French Quarter Inn, though all bookings must be made before December 31, 2018.